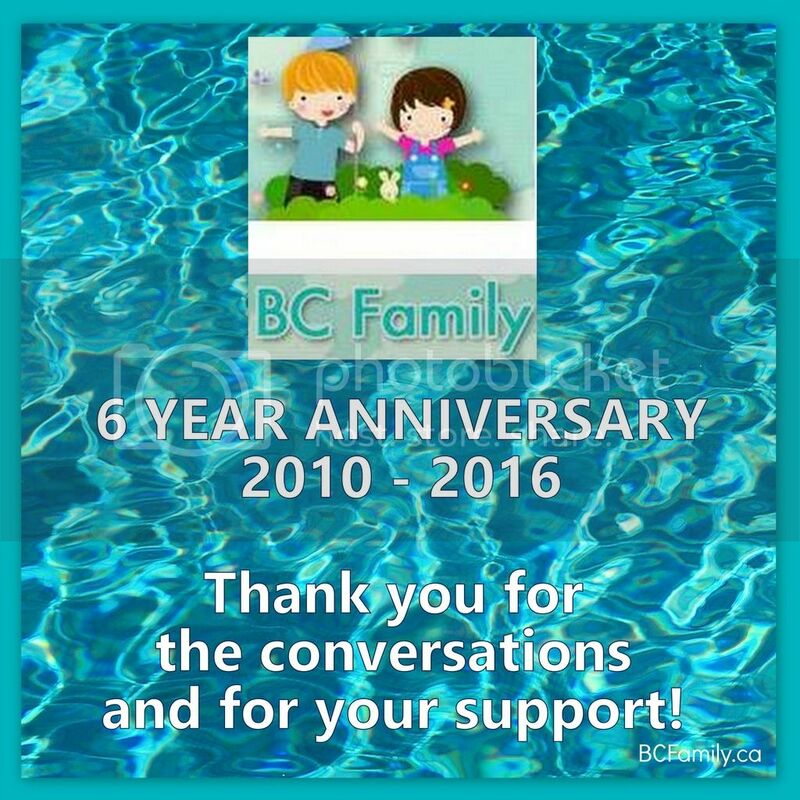 This past January, the clock ticked over and BC Family turned 6 years old. In the summer I’ll also be starting my 13th year publishing content online. So much has changed in that time. Micro blogging came online with sites like Tumblr. Other applications such as Snapchat and Instagram (to name just two) came on board. Even Twitter has changed its tone in the last 6 years. What have the last 6 years meant to me? When I chose the BCFamily.ca name, I wanted to write about BC content and community building. Early on I pinned this page about Community Building front and centre at the top my site. This was a loose goal but I’ve kept with it, more or less. Although, if you follow along on the main Facebook page, the BC Family events page (called Connect BC), BCFamily on Pinterest, and Twitter pages (here and here), you’ll know that my focus is on British Columbia and beyond. The content that I create and curate is never obvious, is rarely trendy and is almost always eclectic in its reach. Over the years, I’ve had the chance to connect online and in person at community events with many women and men online – and in particular women. There are a lot of women in British Columbia who are sharing their fabulousness online. And by a lot I mean a lot right here in BC. Some are bloggers exclusively. Some connect their social media usage with their other entrepreneurial endeavours. Some don’t have a blog or their own business but through their presence on Twitter or Instagram, for example, they’re sharing their own interests and perspectives – and they’re supporting other women and men in their community. Once you start to engage in these conversations, as I have, you see what’s happening in communities all around BC and beyond. It’s truly fascinating. Having an online presence with this site and on other social media networks, I have the opportunity to support families in British Columbia, BC-based events, community initiatives, BC entrepreneurs and social justice and activism concerns. Finding the best way to share information and encourage others to join in on these efforts has been a learning experience. Sometimes a topic will capture people’s interests and sometimes it goes nowhere. My current interest is to look at how the Riverview Hospital lands in BC are cared for and used. I meet people regularly who say they aren’t hearing what’s going on with the land. Meanwhile aside from a few stories in the local newspaper and published Letters to the Editor, it feels like this is not a story that the broader mainstream media have taken on. “What will it take to get people interested in this story?”, I asked myself. That’s the challenge, at my end, and that’s what keeps me going. Beautiful photos on Instagram depicting Ikea worthy interiors and endless family day trips. Stories that seem authentic but don’t really match the struggles of your own life. Endless Parenting stories in the mainstream media and on blogs get shared and re-shared. Often the content is telling you what you should and shouldn’t be doing in your own home. Did you hear about the latest one announcing the “collapse of parenting”? It can make your head spin. And oh those [Pinterest] pins that connect, most often, to blog posts. Strangely enough the result of this concern is that I silence and constrain myself. Finding a way to share with and encourage others without resulting in people experiencing social media stress (think Pinterest stress, for example), is an ongoing challenge for me. It takes me a long time to push out content on BCFamily.ca. If ideas are swirling around in my head, the drafts on my site dashboard stack up and the output decreases dramatically. I’ve been told that I should have pursued a career in Communications. I spend a lot of time reading, observing, consolidating and chewing things over in my mind. It shouldn’t come as a surprise that what spoke to me the most in the life review of David Bowie was his interest in social commentary, forging new paths, never bending and – as he said – “staying weird”. I’ve felt quite discouraged lately about communications trends in our society and how people are connecting. Or should I say how they’re not connecting or are connecting less and in less meaningful ways. As I feel like I’m living a quite isolated existence, I’m also shutting down my voice and reaching out less – at least in terms of publishing content on this site. It’s a process that waxes and wanes. But through it all, the connections I’ve made with new friends online and others I already knew, has made all the difference and provides more support than, perhaps, these people (that includes YOU) could imagine. Over the years I’ve heard and read messages of thanks for my contributions on BCFamily.ca and on social media. I am truly grateful every time someone says “thank you. I really appreciate what you do”. The thank yous mean more than you can imagine. You often hear people who are involved in the social media world muse about topics such as “reach”. I decided long ago that if what I create and share has an impact or makes a difference with even one person and their life, the effort was worth it.